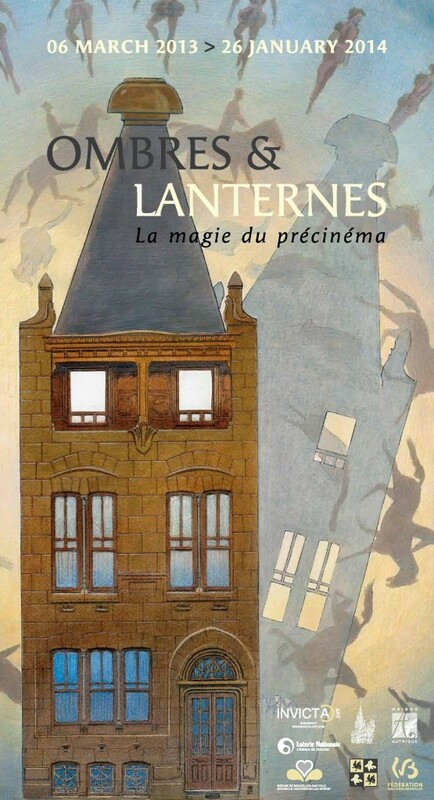 Poster for the Ombres et lanternes. La magie du précinéma exhibition (shadows and lanterns) . 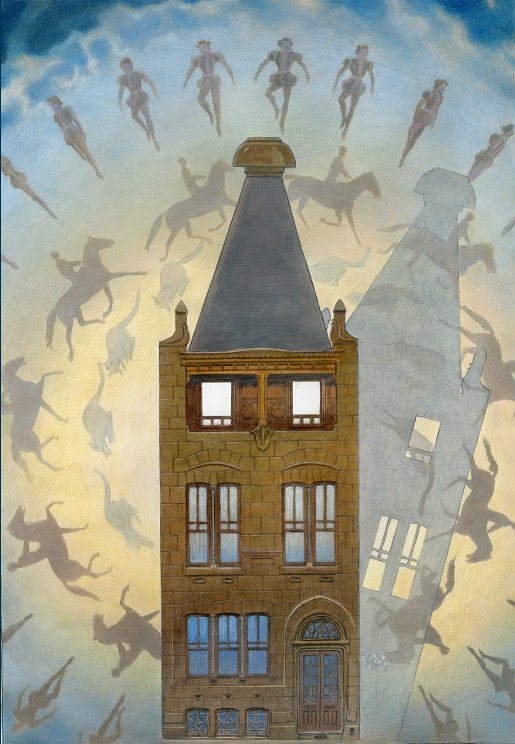 The exhibition is held in Maison Autrique from March 6, 2013 until January 26, 2014 1). Aristocracy and Bourgeoisie, always on the look out for spectacular innovations as from the 18th century, fell for the magic of illusion. When and where was the shadow theatre invented ? Most asuredly a thousand years ago already, either in China or in India, from where it conquered the whole of Asia. Shadow theatre is only being introduced in Europe in the 18th century. Specific buildings were erected to shelter the panoramas and to be able to use state of the art lighting techniques. 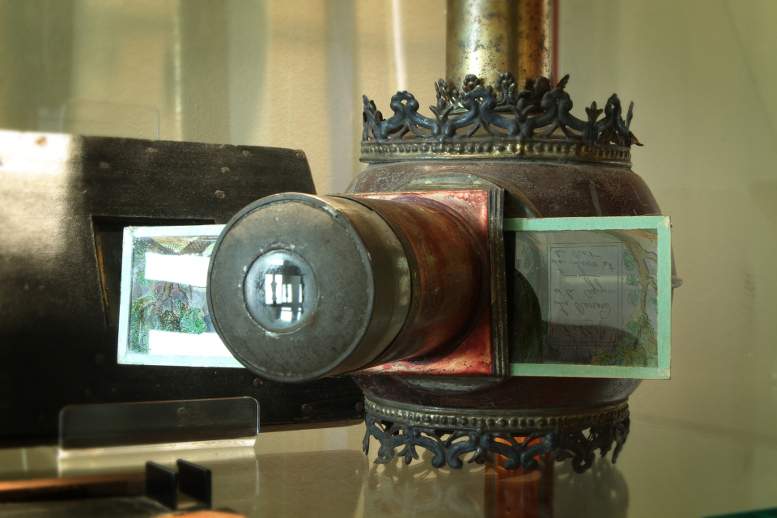 The magic lantern is, in fact, an inverted darkroom projecting images painted on glass onto a screen. At the dawn of the 19th century, Liège born Robertson created passion and raised the dead with a lantern called fantascope. At that time, using lanterns was not without reason. Lanterns were used to support repentance campaigns. They had to make a lasting impression on those who doubted, or lived in sin or who did not (yet) believe. How did they impress? By depicting the demons, Hell and all sorts of torments. Of all ‘lanternists’, Robertson is most probably the one who most strongly announced cinematography, all because of his process of magnification of the subject by moving the device. 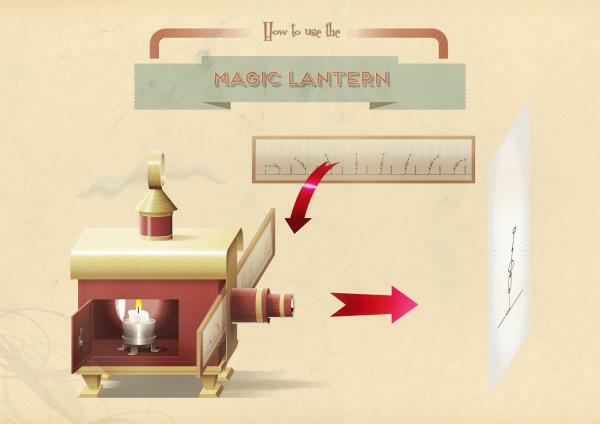 At the end of the 19th century, magic lanterns still were in vogue. Paris based tinsmith Augustus Lapierre still produced heaps of them. 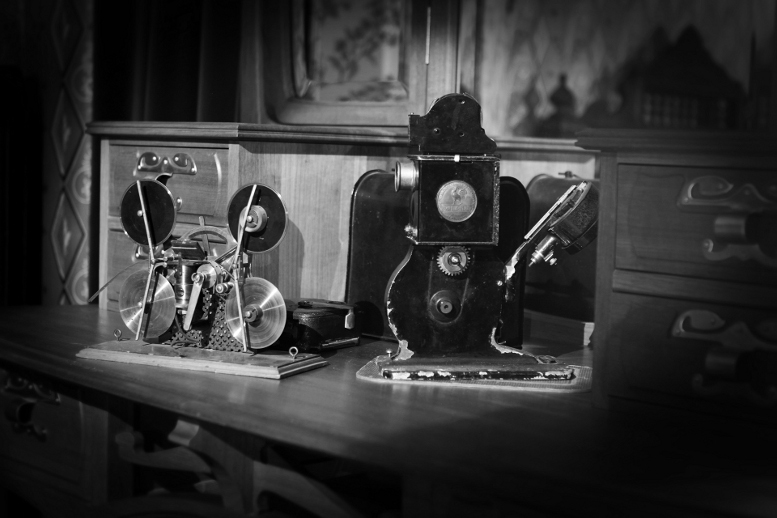 As of 1829 Belgian Joseph Plateau studied the persistence of vision. He discovered that our retinas keep an image for a brief moment and, based on his findings, developed the phenakistiscope, which would prove successful for quite a long time. Plateau painted the first disks himself, but entrusted later work to his brother-in-law, the painter Jean-Baptiste Madou. The disadvantage of the first models was that it worked with a mirror. The Brit William G. Horner came up with the idea for the discs to be replaced by hollow cylinders, the vertical walls of which had images and narrow openings in the upper register. The zoetrope was a very popular toy in the 19th century. 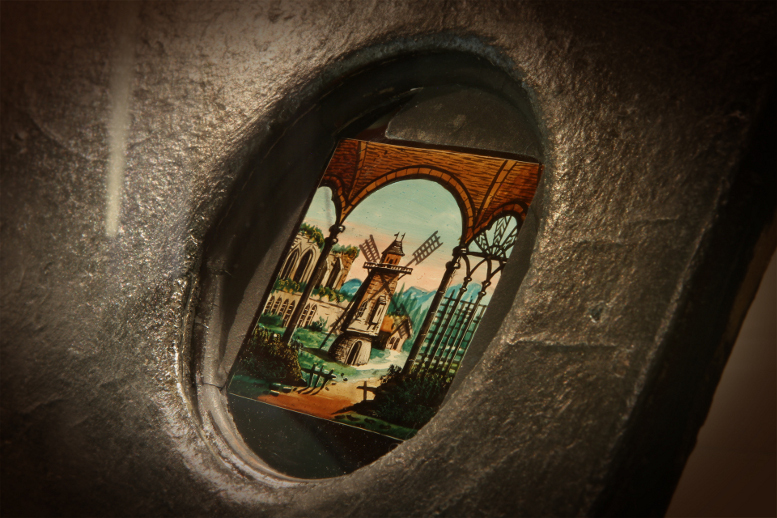 The rotation of the zoetrope created a sence of movement with a similar optical effect than the Phenakistiscope, but with the advantage that it it could be viewed by several persons at the same time. In 1877, French Émile Reynaud, who was very keen on light projections, came up with a new device: the praxinoscope, ensuring better results. At first glance, it resembled the zoetrope without openings. The shutter is provided by a new principle: the optical compensation. This compensation is achieved by means of a prism mirror with a radius equal to half of that of the cylinder in the centre of which it is placed. There were as many mirrors as there were drawings on flexible strips. Reynaud improved his invention in 1879 by introducing backdrops. However, he still was not satisfied, as the duration of each cycle shown did not exceed one second. 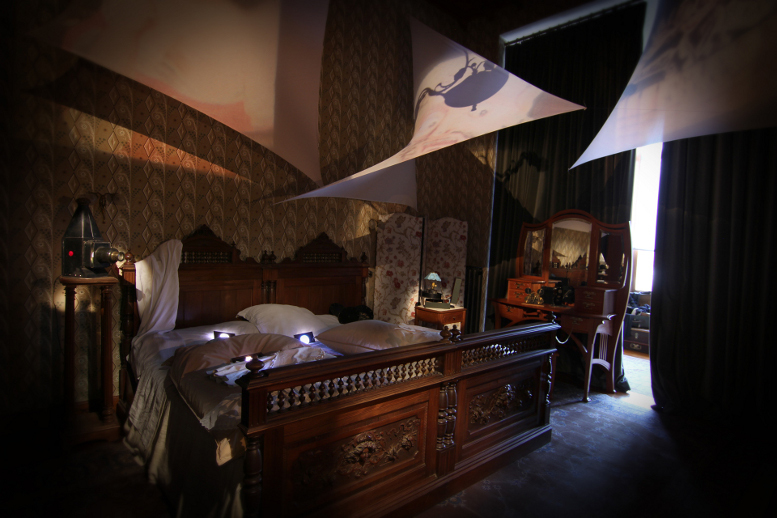 He wanted to increase the projection period and created, in 1888, the optical theatre – a mere seven years prior to the invention of cinematography - and organized, as from 1892, projection shows at the Grévin Museum. 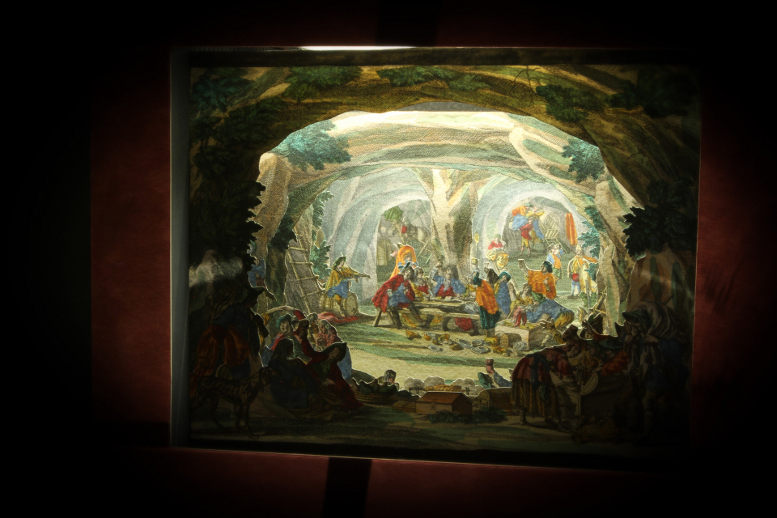 The basic principle of the optical theatre is a flexible strip (of cloth) of indefinite length on which have been applied a series of successive poses drawn and colored on glass plates. This strip runs from a spindle. 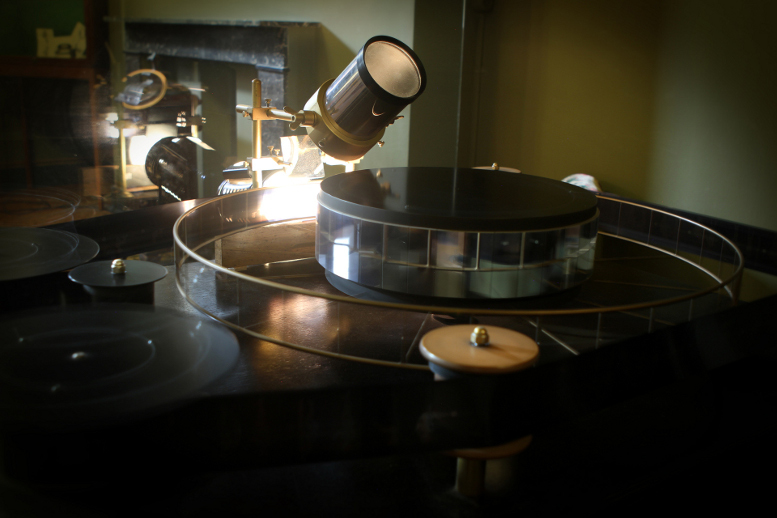 Pins secured to the mirror prism mesh with holes punched in between the glass plates in the strip, and advance the strip to the reel … the cinematrograph is now close at hand 2).